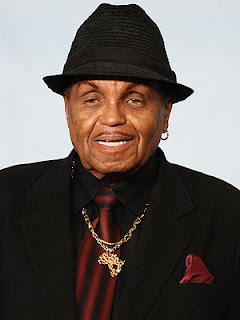 Michael Jackson's father Joe Jackson is reportedly recovering in hospital after he was involved in a Las Vegas car accident on Friday (June 30). TMZ reports the 88-year-old Jackson family patriarch was sitting in the passenger seat in a black Jaguar when the driver of a Sports Utility Vehicle (SUV) slammed into his car. The crash was a side collision, with the SUV motorist apparently T-boning the Jaguar, but according to eyewitnesses, Joe was well enough to walk away from the scene to a nearby Panda Express fast food restaurant to seek some help. Sources claim the octogenarian walked into the eatery wincing with complaints of chest pain before paramedics arrived to take him to a nearby hospital. At press time, representatives for Joe had yet to comment on the report. The car crash is the latest in a series of unfortunate events the former Jackson family manager has experienced recently. Last month, Joe had to fend off death rumours after being hospitalised for an unknown illness. "The rumors of my death have been greatly exaggerated," he wrote in a post titled 'I Am 100% Alive' on his website. "Please ignore all the stupid false rumors from people who seem to find humor in such topics." However, Joe faced a very real threat to his health and well-being in July, 2015 after suffering a stroke in Sao Paolo, Brazil. Following the health scare, he underwent heart surgery to have a pacemaker fitted.